We all make mistakes, and with confusion over the Patient Protection and Affordable Care Act (PPACA) and with open enrollment under way right now, there is the chance that you might make a few health insurance mistakes. It’s tempting to just choose the plan with the lowest premiums and move on. Whether you are looking on a state health care exchange, or whether you are contemplating the health insurance plans offered through your employer, it’s important to consider your options. Sometimes the plan with the lowest premium isn’t right for you. The lowest premium might mean fewer benefits, or that something you need isn’t covered. First, figure out what benefits you need, and then look for a low-cost plan that covers you appropriately. There are some health care accounts that can help you offset some of the costs associated with your health insurance plan. Flexible Spending Accounts allow you to set aside pre-tax dollars to use on qualified costs later. Not only do you get a tax advantage for paying insurance premiums, but you also get a tax deduction for your contribution. Be wary of the FSA, though, since it’s a use-it-or-lose-it situation. You have to spend all the money by the end of the year. A Health Savings Account, though, is another story. The money rolls over year to year, you earn a return, and the contributions are tax-deductible. If you have good health, and if a high-deductible plan is right for you, you can save through lower premiums and with the help of a HSA. 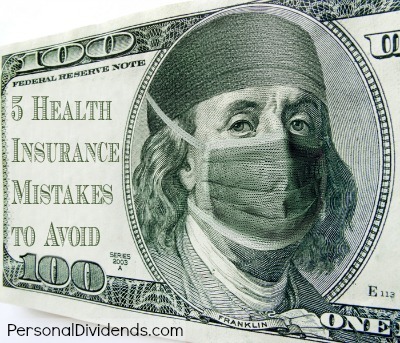 Sometimes, a plan has a low premium because it has a high deductible. If you can afford the deductible, this type of plan can make sense. You get reasonable coverage at a low price. However, the high deductible means that you have to pay more out of pocket each year. Consider what would happen if you actually had to pay the entire deductible. If it looks as though the high deductible would ruin you, consider something else. One option is to put enough money in savings to cover the deductible. If your emergency fund can cover your deductible, you are likely to be in good shape — and you can reap the savings. Most health insurance companies have preferred networks and service providers. Before you choose an insurance company, make sure that its network is one that makes sense for you. Going out of network can cost you big time if you aren’t careful. In some cases, going out of network means that you pay 50% or 60% of your costs, instead of 20%. You might even have to pay 100% of your costs if you aren’t careful. Find out which pharmacies, doctors, hospitals, and other health care providers are in your insurance company’s preferred network. Try to get your services from those providers. Just because you’re healthy now doesn’t mean that you don’t need health insurance. Even the healthiest of us can be the victim of an accident. Also, some diseases, like cancer, strike even the healthy. You don’t want to be caught without health insurance in those cases. Instead, consider getting a catastrophic policy designed to take care of you in accident situations or when you have to stay in the hospital for an extended period. You want to be covered just in case the unthinkable happens.